The Miyabi 5000DP Gyutoh 200 chef knife 8-Inch is the latest addition to my growing collection of kitchen knives. This knife is a typical Japanese Gyutoh knife manufactured by Zwilling J.A. Henckels Japan, the most universal chef’s tool with VG-10 core (actuall it goes under CMV60 designation which is pretty much the same as VG-10) at about 60 Rockwell hardness, sandwiched between 32 layers of stainless steel on each side, with damascus pattern. This knife, marketed at Amazon as Miyabi Kaizen 8-Inch Chef’s Knife , is very similar to Yaxell Ran 8-inch Chef’s Knife . This is one of the best knives in my collection, definitely not cheapest at about $170. 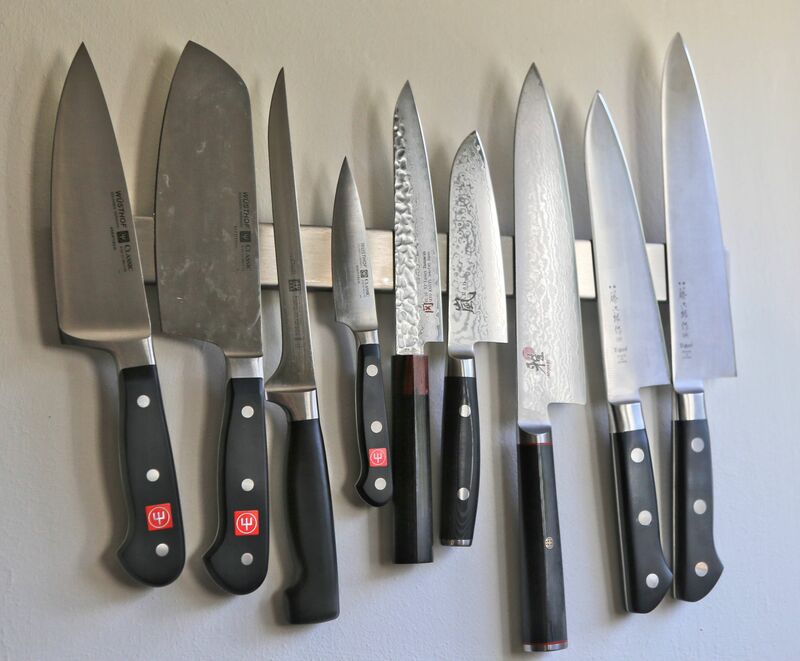 The knife is razor-sharp, a pleasure to handle and a beauty to look, though on a practical not I must admit that as a daily working horse Tojiro DP Cobalt Alloy 3-Layered Chef Knives F-808 (on the right) would be a more sensible alternative for about third of price.